FALCONERS is designed to allow children or adults of all ages with special needs and unique challenges (such as autism or developmental disabilities) and their whole family to have an enriching educational experience in a safe and welcoming environment. There will be one event per month throughout 2019. Click here to go to the FALCONERS page for registration and upcoming events! This new program is designed to reach out to more members of our community – funded by a generous grant from Capital Region Community Foundation. We will be visiting over 30 community partner locations in an effort to bring the zoo to you! These events are free to participants of all ages. Each event will feature a live animal presentation or a “Reading with the Animals” program. Live animal presentations are an up close and personal presentation with our animal ambassadors and is a great time to learn about our animals and their natural behaviors. At our “Reading with the Animals” program, the audience will hear great animal stories and have a close up encounter with our animal ambassadors. 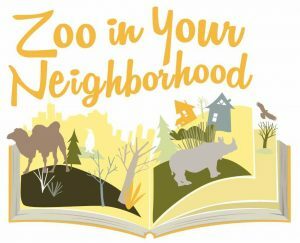 Click here to go go to the Zoo in Your Neighborhood page and see all event dates!